Welcome to Chemicure Enterprises, Manufacturer and Supplier of Acid Proof Cement and Refractory Products. The company was incepted in 1979 at Ahmedabad. Our Widespread distribution network and In house quality testing laboratory helps us to grab maximum customer satisfaction. Impeccable quality products, Thermal shock resistance and Utmost customer satisfaction make us the first choice of our clients. We offer a diverse range of Base Mortars, Fire Cements and Firecrete Supers. 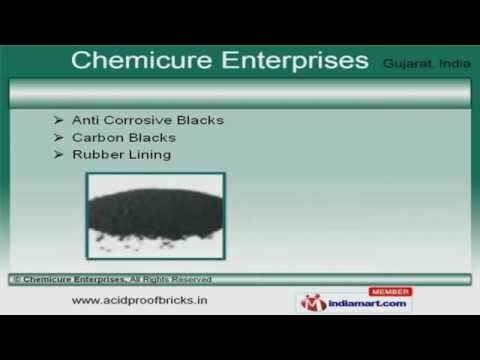 Fire Castes, Fire Bricks and Acid Proof Bricks offered by us are widely appreciated in the market. Our Rubber Lining, Carbon and Anti Corrosive Blacks are extremely reliable. We have gained tremendous expertise in providing CNSL Base Resins, Bitucure Mastic and Silicate Based Compounds. Our Industrial Flooring Services and Phenolic Base Mortar for Road Construction are highly efficient. Furan and Epoxy Base Mortar for Building Construction are one of the best in the market.